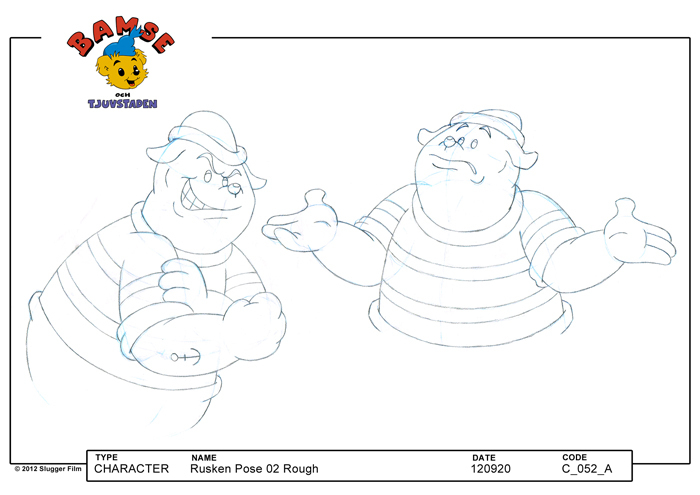 Here’s some more character design sheets from Bamse och Tjuvstaden. 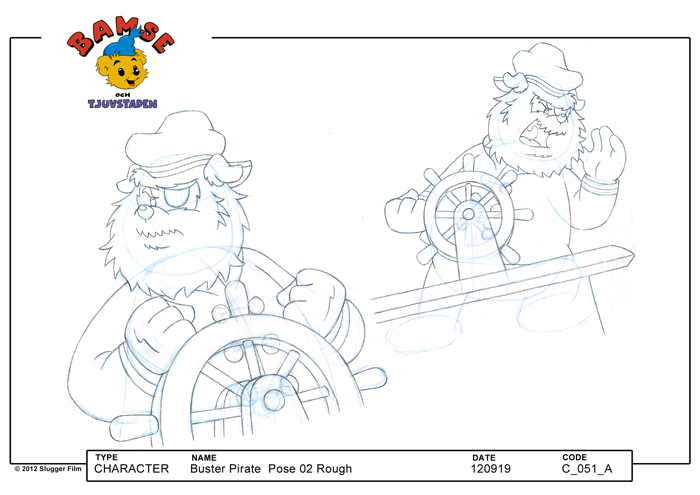 I drew these when working for Sluggerfilm May 2012 – Mars 2013. Buster, the diabolic (?) Captain of the Pirates. 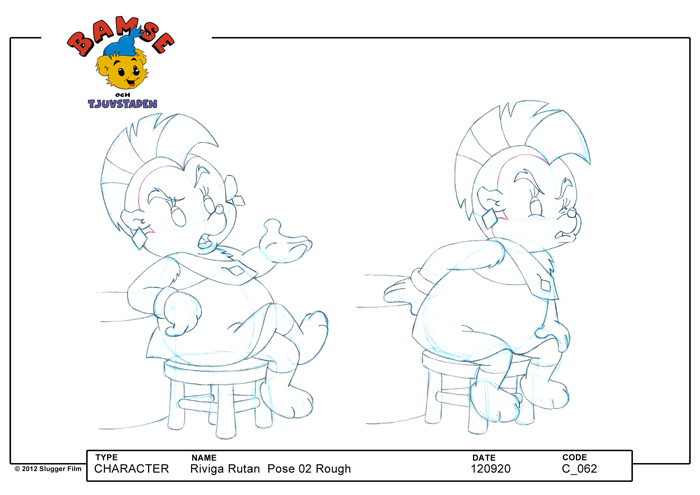 Riviga Rutan the hedgehog. Don’t mess with this girl. Just saying. Many design choices were based on Lars Bällsten doodles. As I might have mentioned in a previous post, Lars Bällsten is da man. 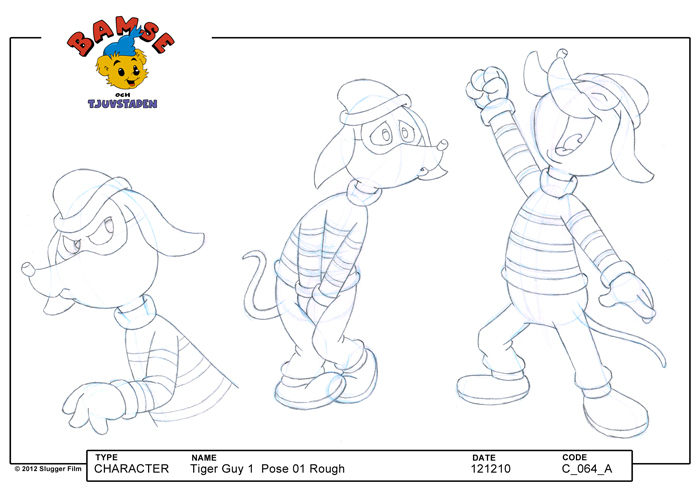 Tiger Guy 1 is actually a dog, member of The Tiger Gang (wearing striped sweaters).